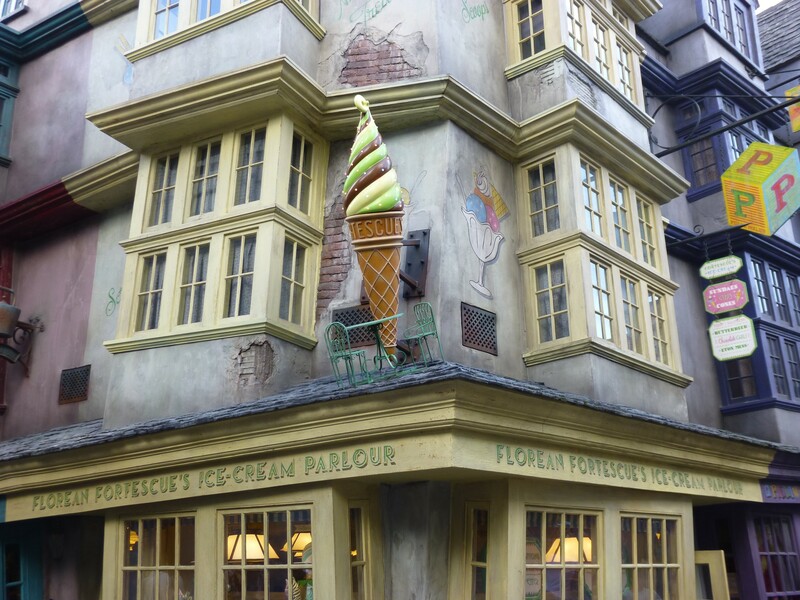 In Harry Potter and the Prisoner of Azkaban, Harry enjoyed numerous ice-cream sundaes here, compliments of Florean Fortescue himself, as he worked on his homework one summer. 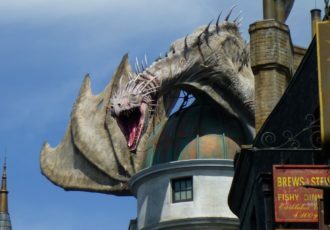 Wizards and Muggles of every age can indulge in scoop and soft-serve ice-creams here, with fantastic flavours like Butterbeer, Granny Smith, Earl Grey and Lavender, Chocolate Chili, Sticky Toffee Pudding, Salted Caramel Blondie, Chocolate and Raspberry, and more. 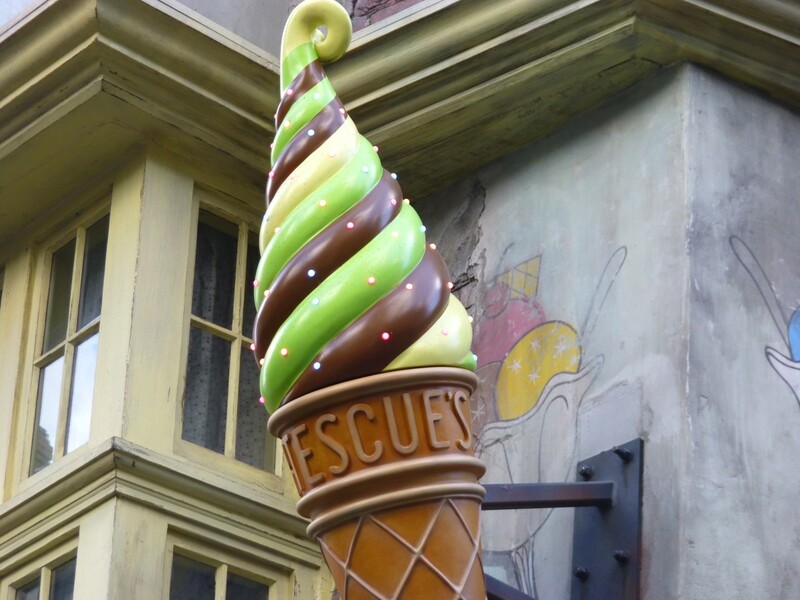 The ice-cream parlour also offers bottled Pumpkin Juice, ciders, teas, and water. Continental breakfast items such as pastries; Battenberg cake, crumble cake, and shortbread are available in the morning hours.